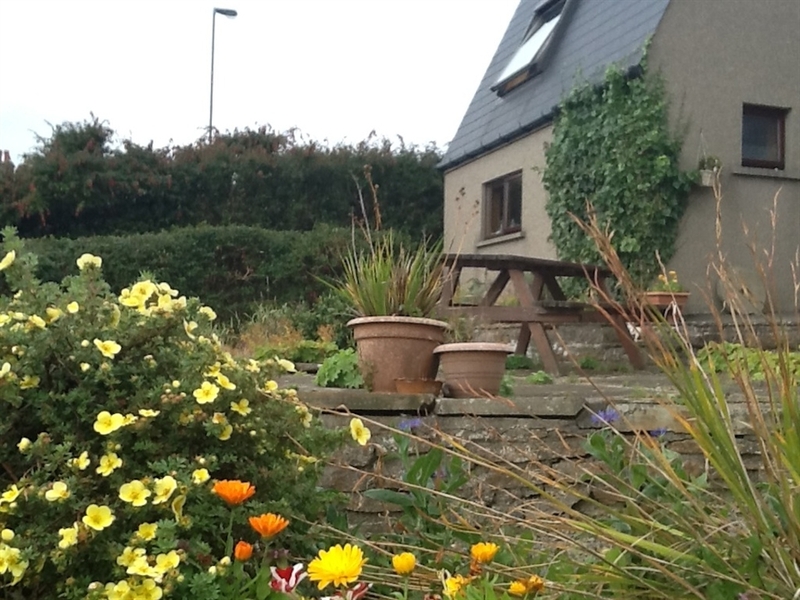 From Camusbeag Visitor's Book... ....'We've stayed here several times now, and never loses its magic. 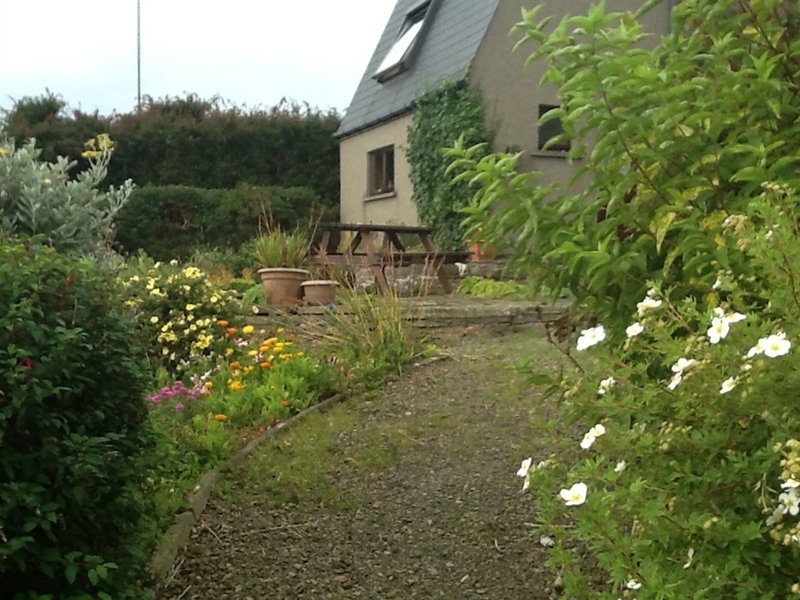 A gorgeous wee place..' ...'Great to find self-catering for one. 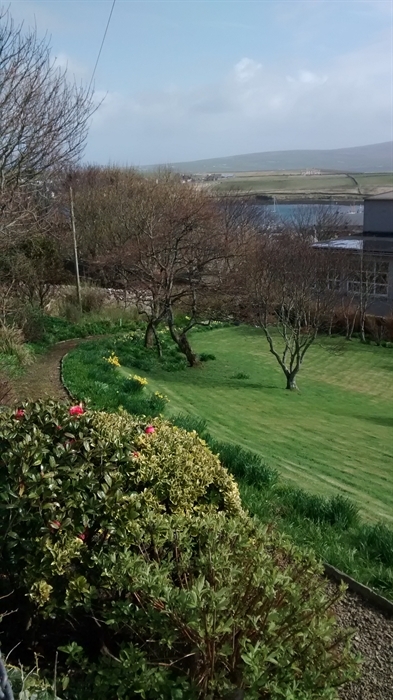 ...'Thank you both for every delight- the cottage, the view, the garden & the flowers. 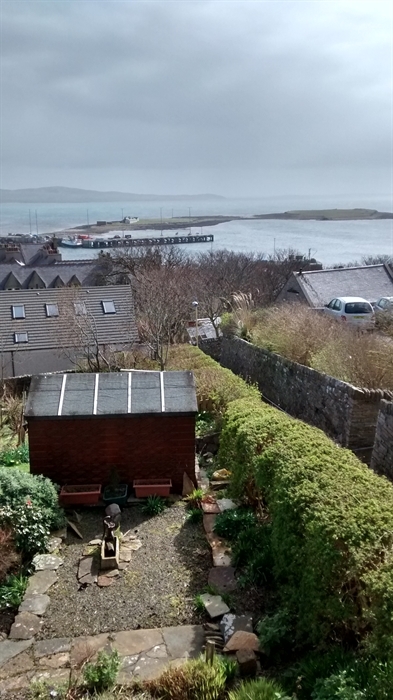 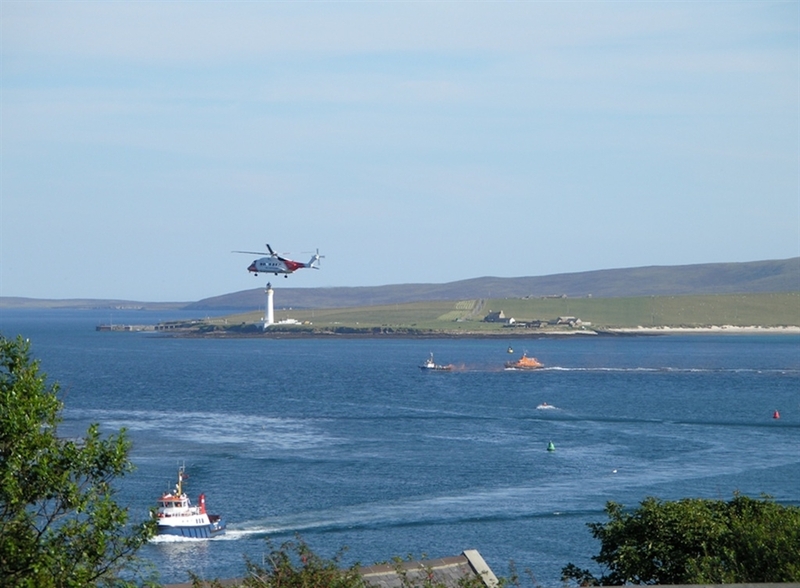 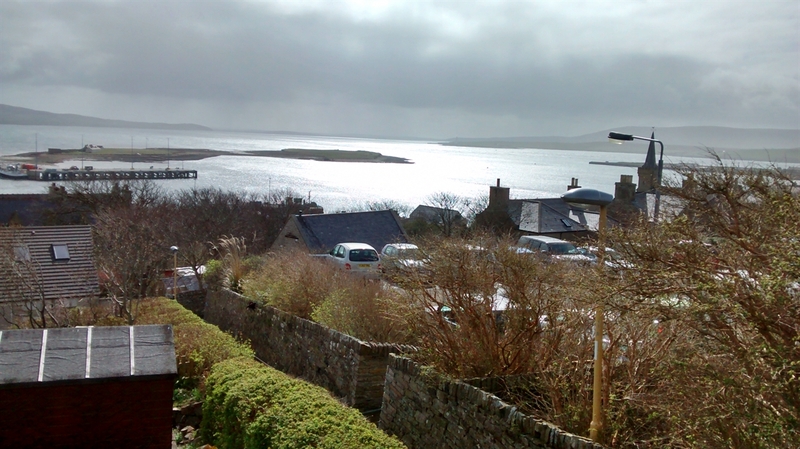 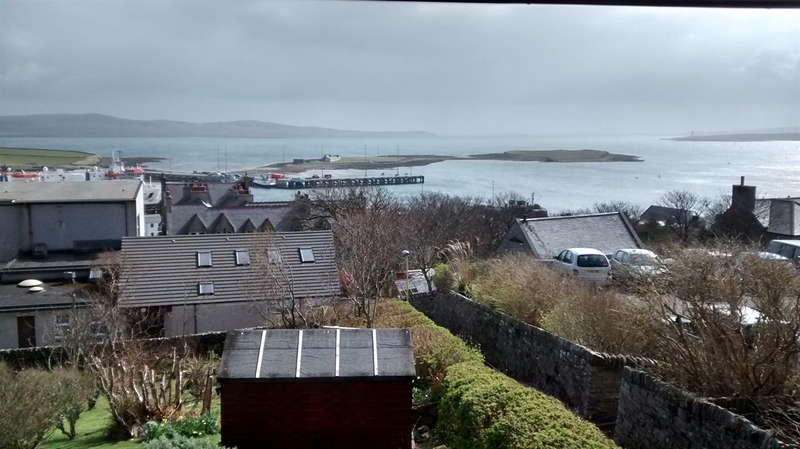 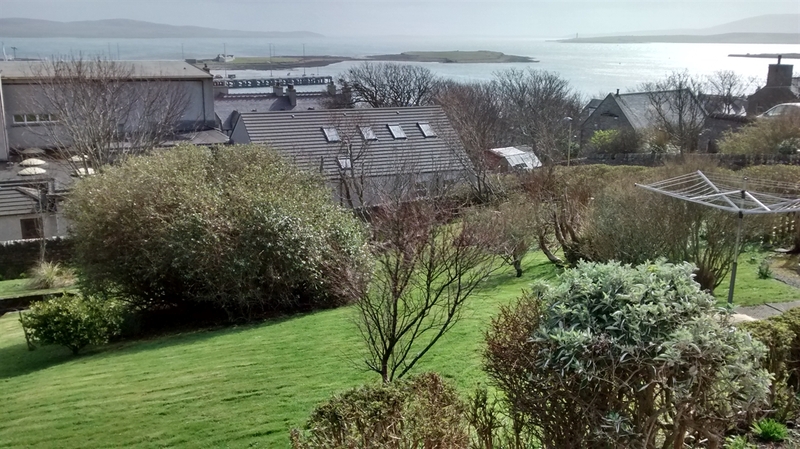 And to Orkney for such good memories...'This unique cottage is situated on the hillside in central Stromness, and has magnificent views over the town and harbour and down Scapa Flow. 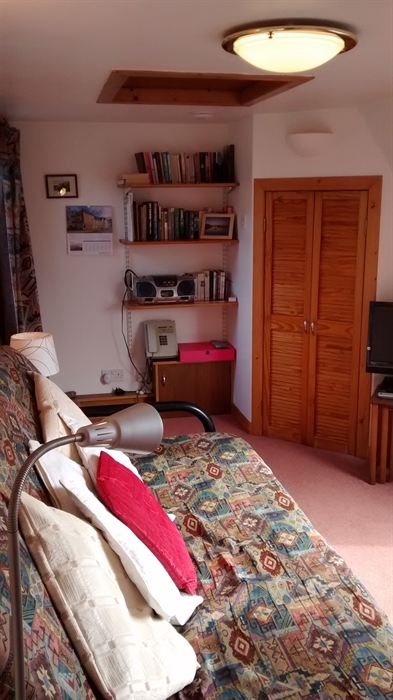 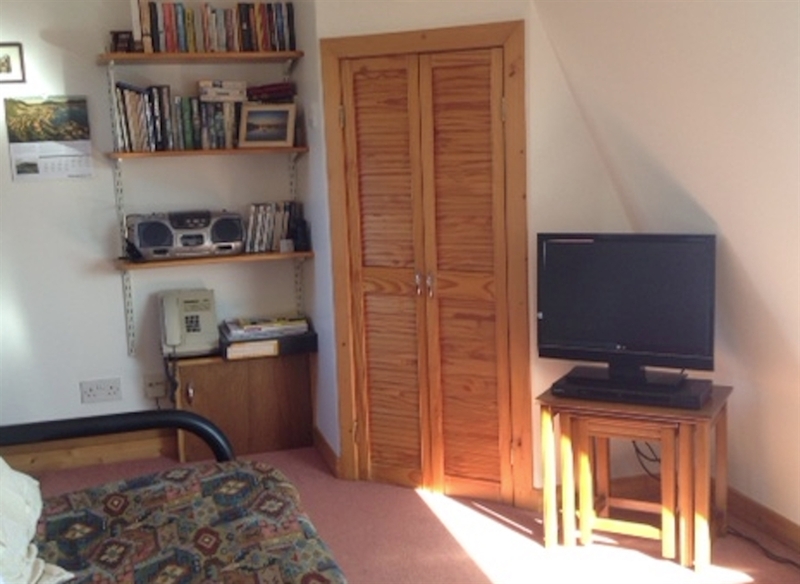 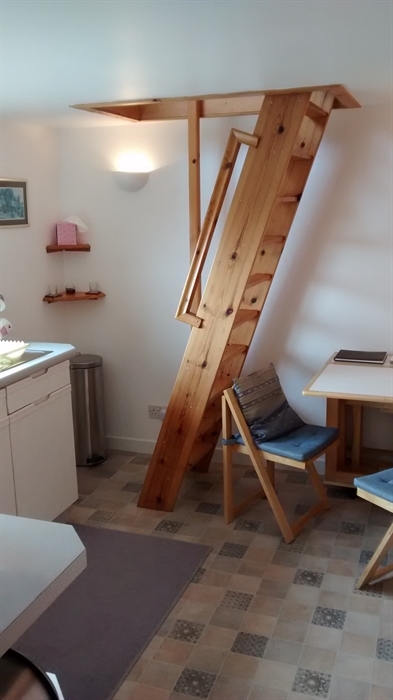 The cottage is on 2 levels linked by a wooden paddle staircase and is ideal for 1 or 2 people sharing a double bed settee. 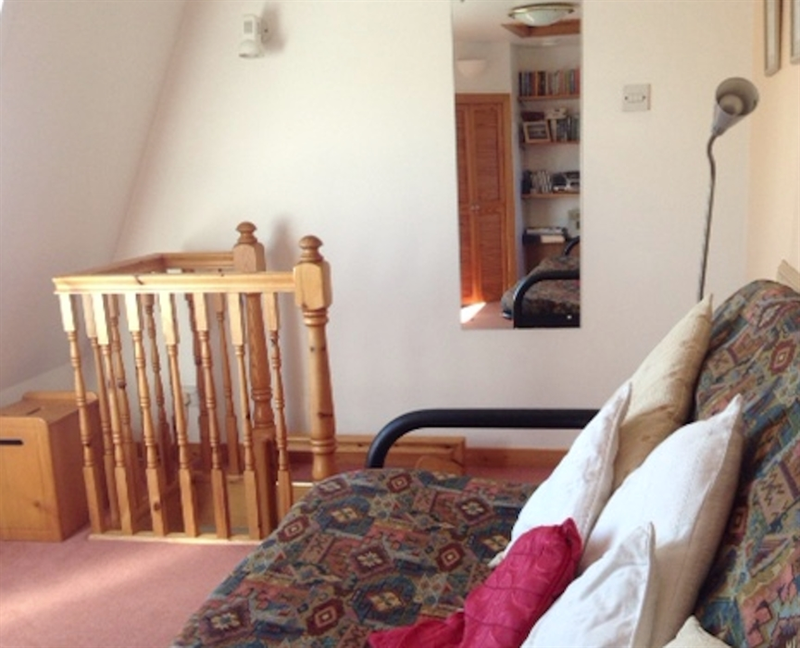 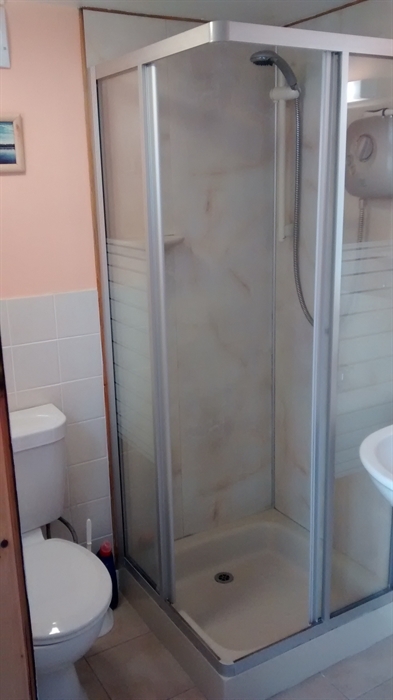 On the ground floor is the entrance hall, toilet/shower room and the kitchen/dining area. 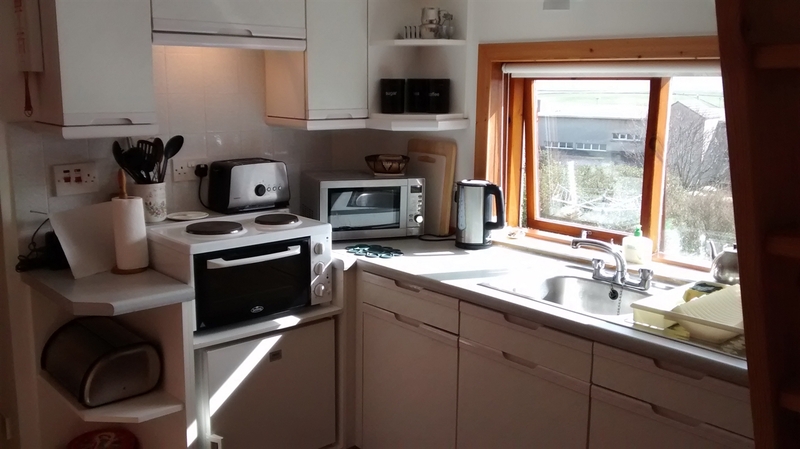 The well-equipped kitchen makes the best use of space and has attractive lighting, bright units and a view of the harbour- but an even better view can be enjoyed from the bed-sit room upstairs. 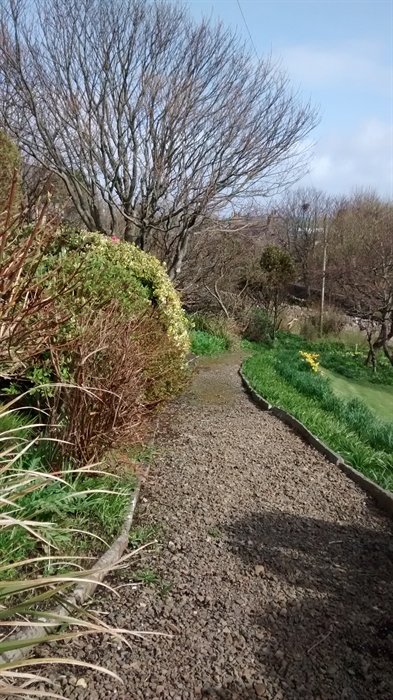 Because of the steep internal staircase Camusbeag is not suitable if you have mobility problems or a young child. 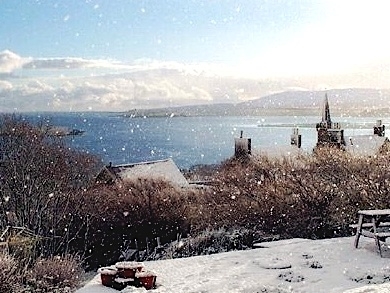 From Camusbeag you can enjoy the endless fascination of the ferries coming in and out, explore the cobbled lanes of the town on foot or sample the excellent food and drink available in the local hotels & restaurants.